Rugged Beauty. Stunning Landscapes. Sparkling Glaciers. Unrelenting mountains. Endless summer days. Alaska! Still, breathless wilderness lakes, salmon swirling below the surface, Grizzlies and Bald Eagles waiting patiently above. Silence. Vastness. You. You. Float into the sky. Forests below you, oceans, mountain ridges green, blue, white, blinding white. Huskies panting, wind whispering, silent speed, sunlight dancing. You. Take that breath. Take another. Pull in that pure, crisp, sensational air. Never want to leave, do you? Your feet crunch on the glacier below you. 500 years of history under your feet. Marvel as the sun glistens through crystalline ice. Blue, deep, penetrating blue. Massive depths of ice spawning spindly rivulets, gathering, swelling, into churning rivers, cascading rapids. Rush. Waves.You. Its here. Waiting. Calling. Alaska. The true, untamed, last frontier. Midnight Son Tours will take you ‘into the wild’ to experience in real time what for years you have only read about. All with a sense of class that is only befitting this majestic land. Alaska’s best accommodations, finest dining, and unparalleled service will provide the comfort in which you can relive today’s adventure and prepare you for tomorrow’s. Rugged Alaska on a Silver Platter. You’ve wanted to go to Alaska for years now. You’ve heard about the endless hours of Summer Daylight. You’ve seen photos of Wild Grizzlies, Snow-capped Peaks, and Calving Glaciers. You’ve tasted Wild Alaskan Salmon. But now it’s time to experience it all for yourself. You’ve only got so much time and want to get it right the first time…maybe the only time. You have high standards and expect to get what you pay for. You are organized, efficient, discerning; and you want Alaska to meet you at the top. You’ve come to the right place. In Midnight Son Luxury Adventure Tours you have found a company that puts you first. Like you, we appreciate excellence and strive to set ourselves apart. We are unique…a small company that knows that Big Alaska is best experienced in small groups. We specialize in personal, friendly, five star service that is focused on leaving you totally satisfied yet longing for more. We know that you have a lot of options as you plan your Adventure and we strive to earn your trust and keep it. We’ll give you the Alaska you want the way you want it. Our small group tours are designed to be flexible and personal so we can meet all your needs. Owned and operated by an Alaskan by birth, we know Alaska and the people you can trust. We’ll take you off the beaten path with no wasted time. We’ll go where you want to go, do what you want to do, and eat what you want to eat. No big buses here. No waiting in lines. No cattle prods. No cutting corners. At Midnight Son our goal is for you to have the time of your life experiencing first hand what you have only dreamed of. We want you to be confident as you prepare, energized while you’re here, and satisfied when you leave. That’s the Midnight Son Difference. Geared toward the active and adventurous, we have prepared a Luxury Adventure tour with everything in mind. Rugged Alaska on a Silver Platter. Long before you considered coming, we selected activities and planned a detailed itinerary that will let you experience all that Alaska has to offer without any guesswork. 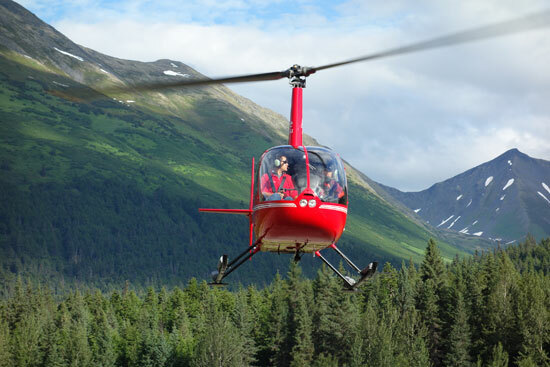 Alaska’s finest lodging, transportation in comfort and style, and delectable dining that truly impresses built around days filled with Alaska’s most Thrilling Adventures! We will get you and your friends or loved ones ‘into the wild’ for 8 days of fun filled Adventures. with 18 to 20 hours of daylight in the summer months, our days will be filled with everything Alaska has to offer. Pristine Wilderness, Chilling Glaciers, Stunning Vistas, Scintillating Tastes, and Unbelievable Wildlife Encounters! Alaska Scenic Railroad 5 Star service, 1 day Glacier/Ocean Wildlife/Fishing cruise in Kenai Fjords. 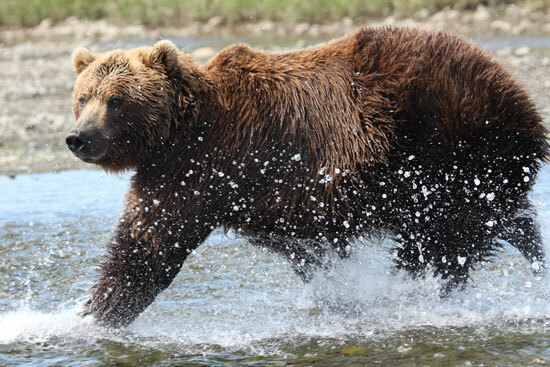 1 Day fly-out Salmon Fishing/Bear Encounters, Heli-Glacier Tour and Dogsledding, Class 4 Whitewater Rafting/Glacier Hike, Kenai Wilderness Horse Trek. All food, lodging, gear and licenses and transportation from and returning to Ted Stevens International Airport included in standard fare. At Midnight Son, we are flexible enough to tailor make your Alaskan adventure to suit your needs, schedule, and participants, with ample preparation time, of course. We will work with you to find the places and activities that bring you off the beaten path to the truly unique and unforgettable Alaska. With a network of trusted outfitters and guides, we can ensure high quality and excellent service for all of our Adventures. Because summer in Alaska is high travel season, we recommend contacting us at least 4 months prior to your travel dates to ensure that we can prepare a tour for your needs that you will truly treasure and enjoy. Don’t have enough prep time? See if one of our model tours fits your interests and dates. Flexibility in scheduling. Want to start on a Wednesday instead of Sunday? Want to do six days instead of 8? Custom tours can be built to your time specifications. Flexibility in Activities. Does someone in your group want to do something different? Kayak instead of fish? Hike instead of raft? 5 days of Orca photography? We can do that…we’ll work with you in the planning process to build the activities that will get you outdoors on your terms. Private tours for business or family. Do you have a business deal that needs that extra little panache to set you apart? Do you have a special family event that you want to be unforgettable? Contact us and we’ll design just what you want, tailor made to your party and preferences.